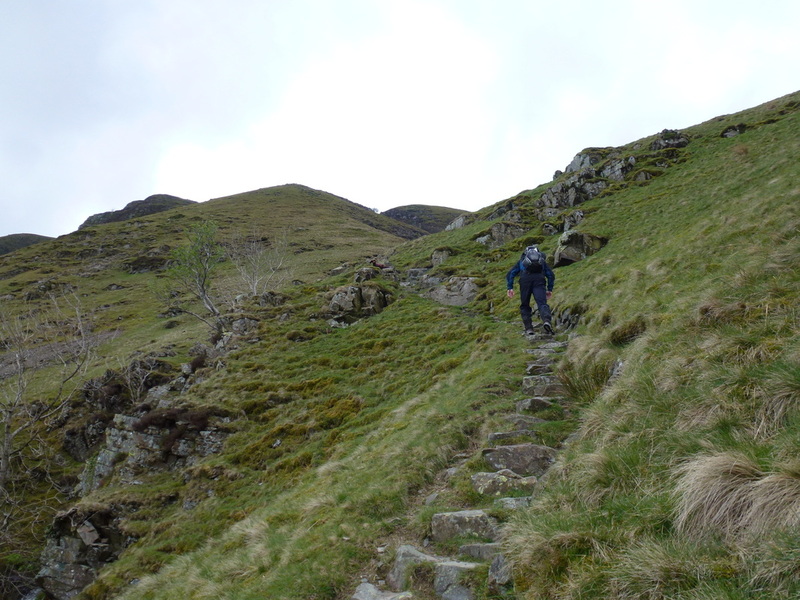 Mostly good paths, both grassy and stony. 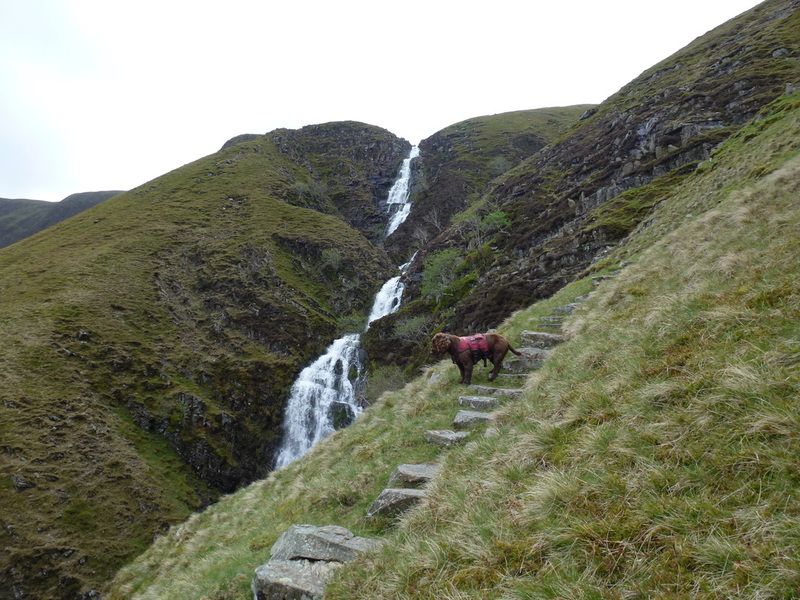 The path up the side of Cautley Spout is steep but firm underfoot. 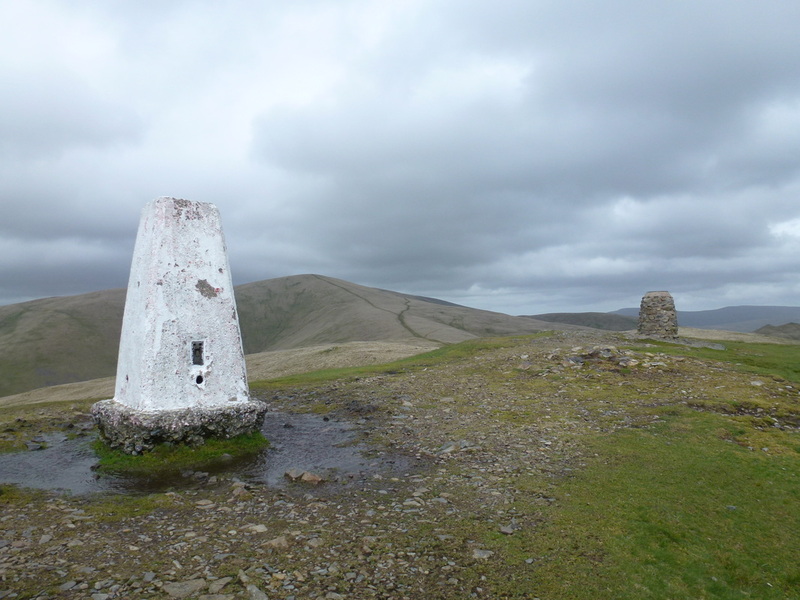 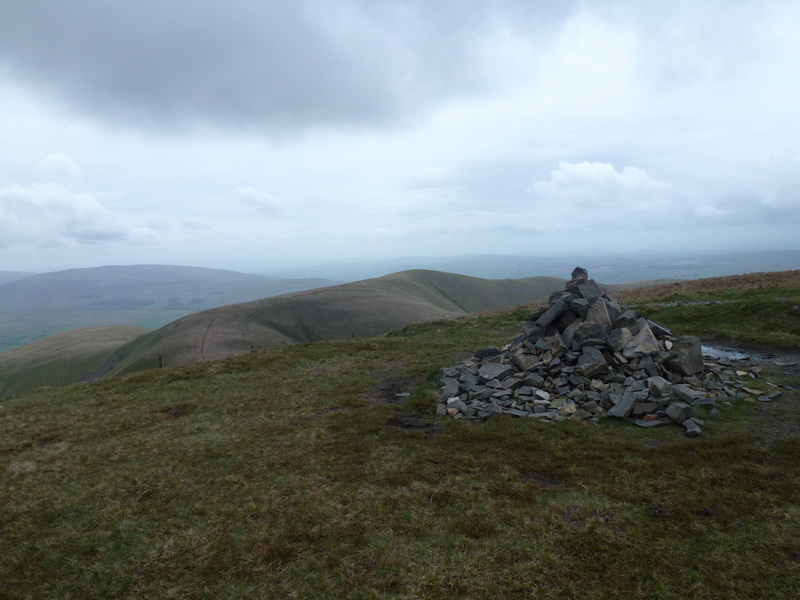 ​Sitting on the eastern side of the M6 and away from their more illustrious neighbours in the Lake District, The Howgills are considered a walkers delight. 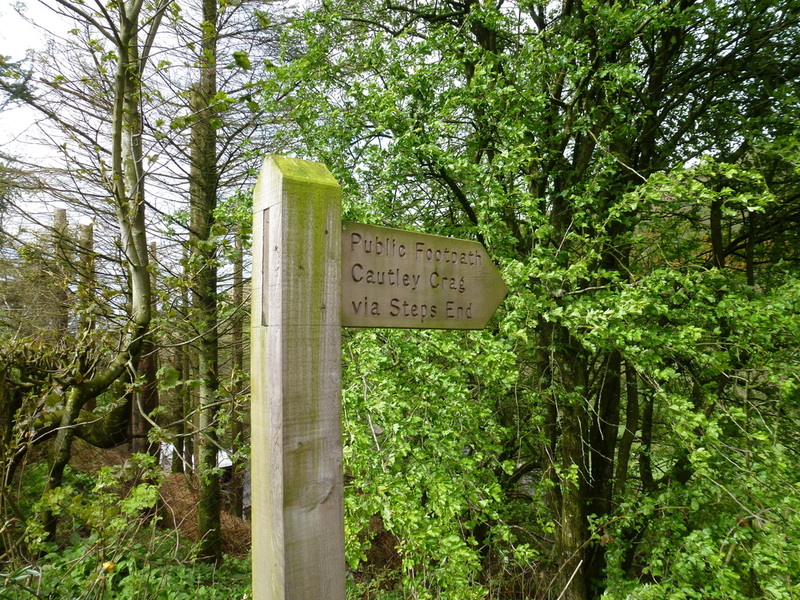 This walk takes in the better-known hills and what a nicer way to spend our 24th Wedding Anniversary than walking in this beautiful part of Cumbria. 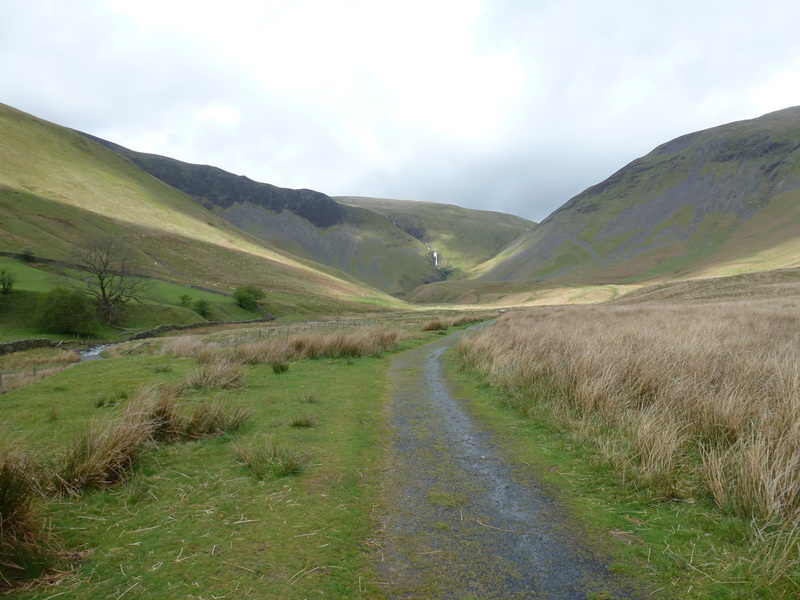 The walk started from the small hamlet of Cautley which to be honest is just a couple of houses on the A683. 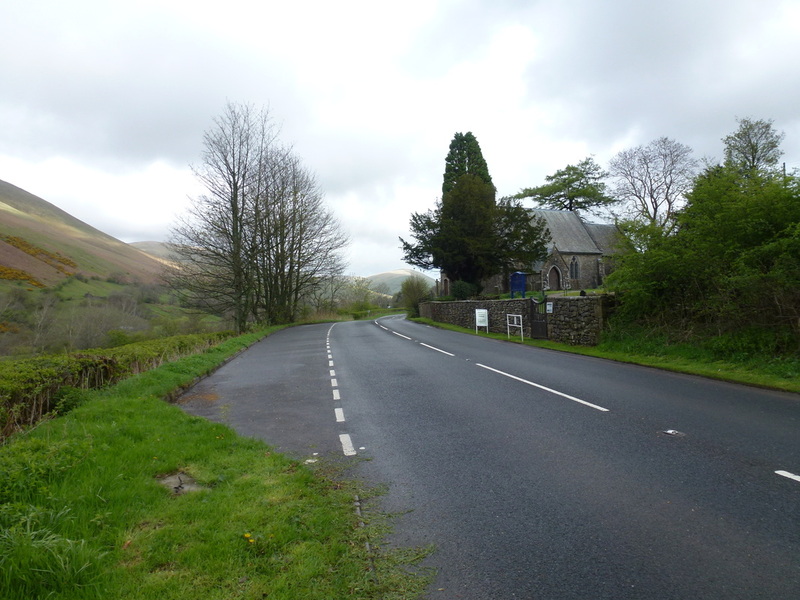 There is free parking at a lay by opposite St Mark's Church. 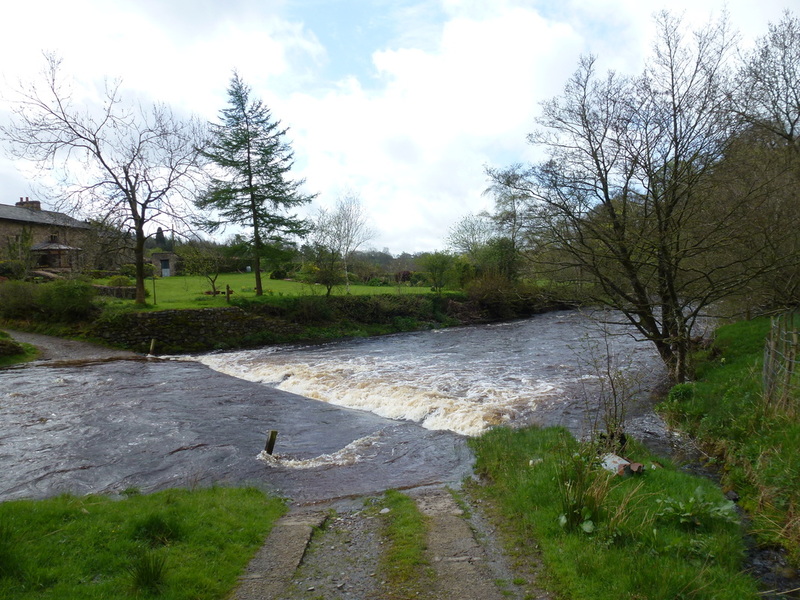 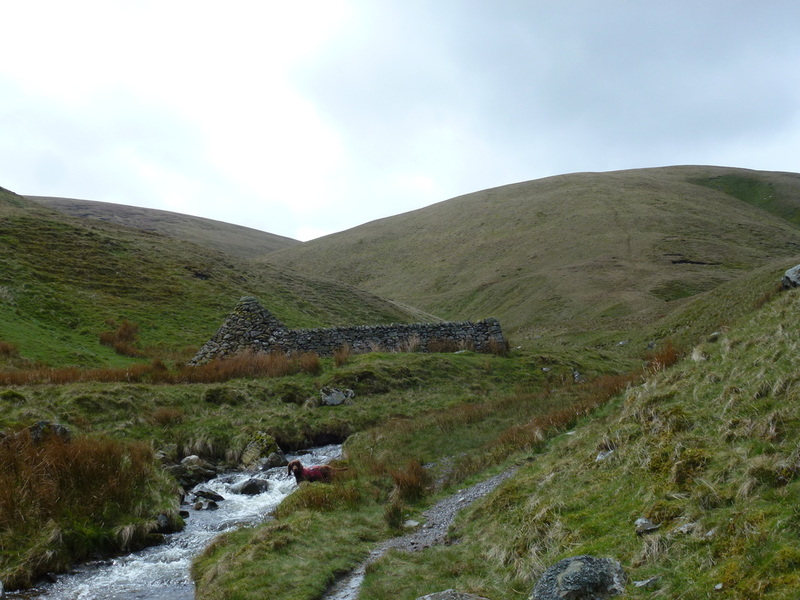 From the lay by we headed north along the A683 for about 200 metres before a turning on the left led to a path past some farm buildings and a bridge over the River Rawthey. 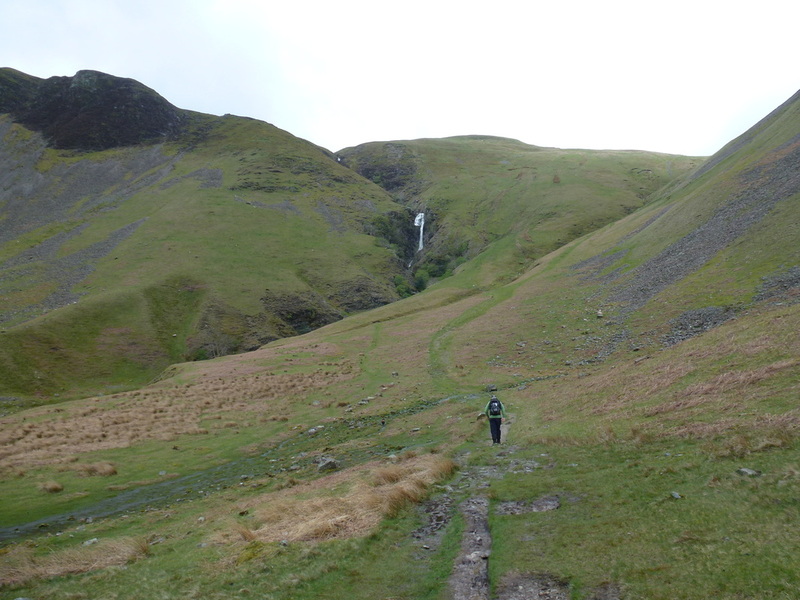 From here the path made its way along the valley bottom to another ford and footbridge before turning left to give us our first view of Cautley Spout. 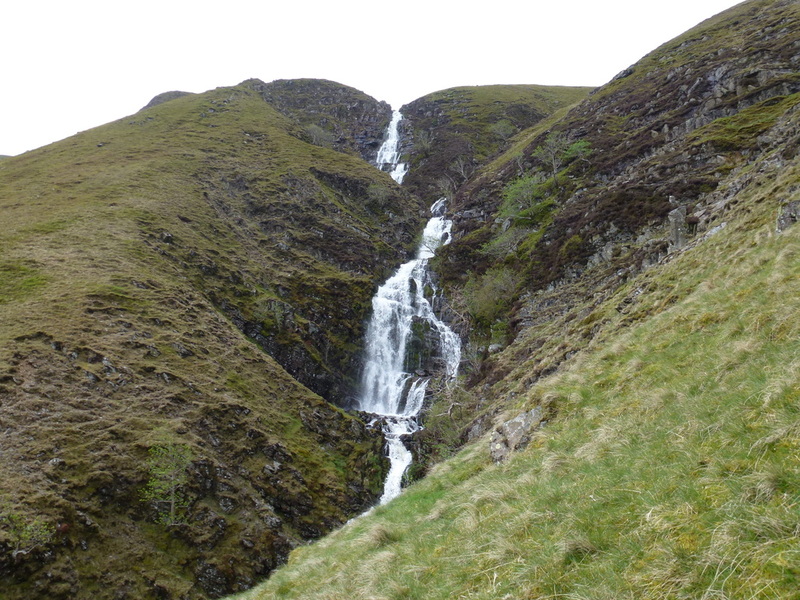 There was now a long walk along the valley floor alongside Cautley Holme Beck to the foot of Cautley Spout before a steep, zig zagging climb up along the side of the Spout. 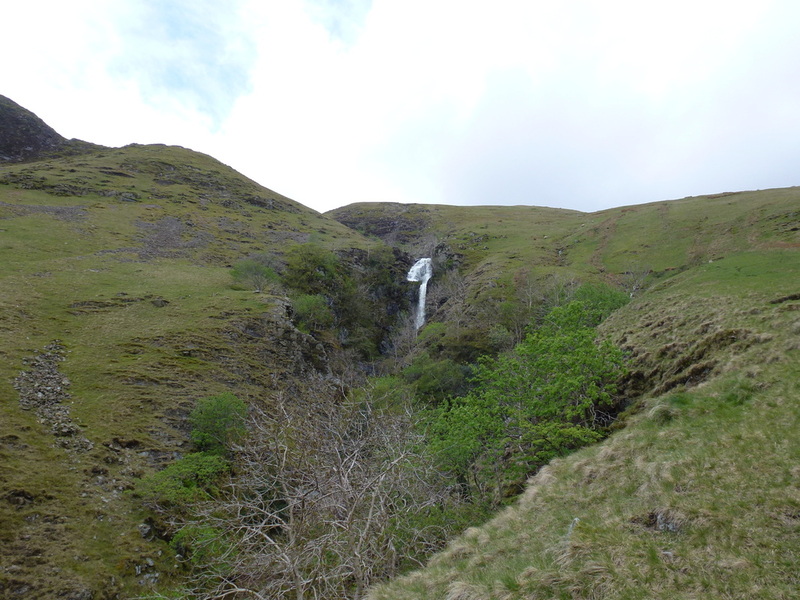 The waterfall is classed as England's highest cascade above ground and tumbles around 650 feet from the plateau of The Calf. 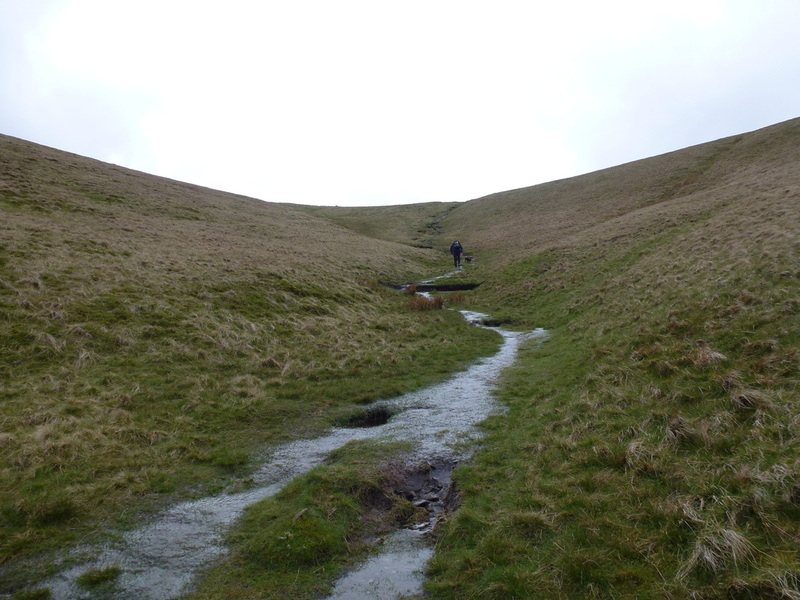 Reaching the top of the Spout there are several options to The Calf but we chose to follow firstly Red Gill and then Force Gill to reach a junction at a wide path. 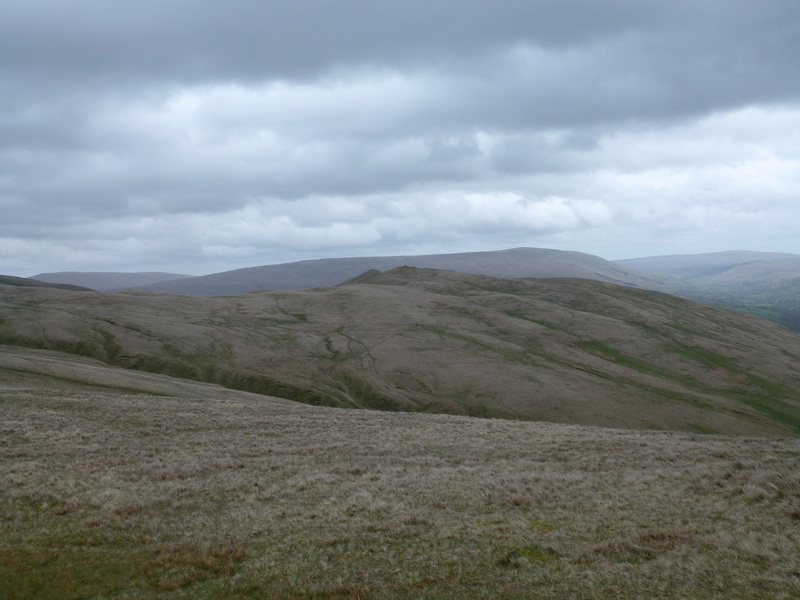 We then turned right to head up the gentle rise to the hurricane like environs of The Calf from where there are wide ranging views over the Howgills and the Lake District. 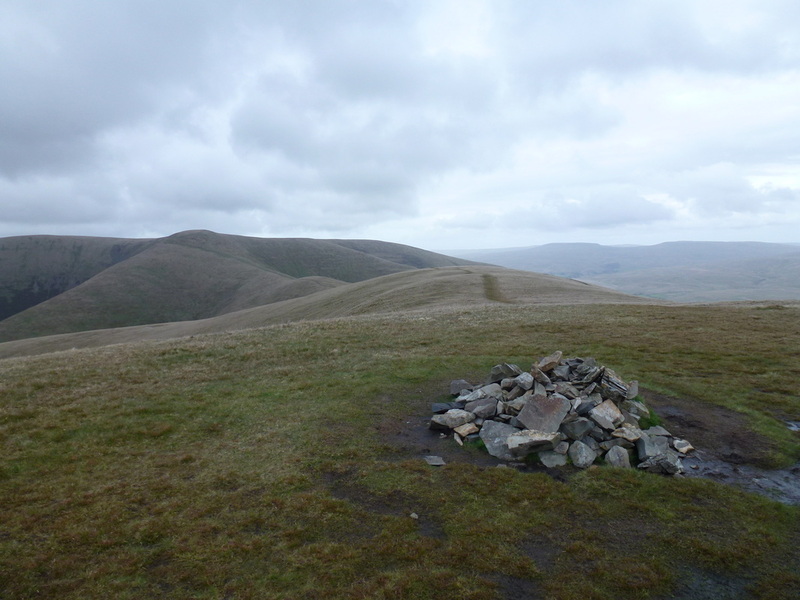 Leaving the summit we had the wind at our backs thankfully and headed along the wide stony path, leaving this momentarily to bag Bram Rigg Top before returning to the path to reach the summit of Calders. 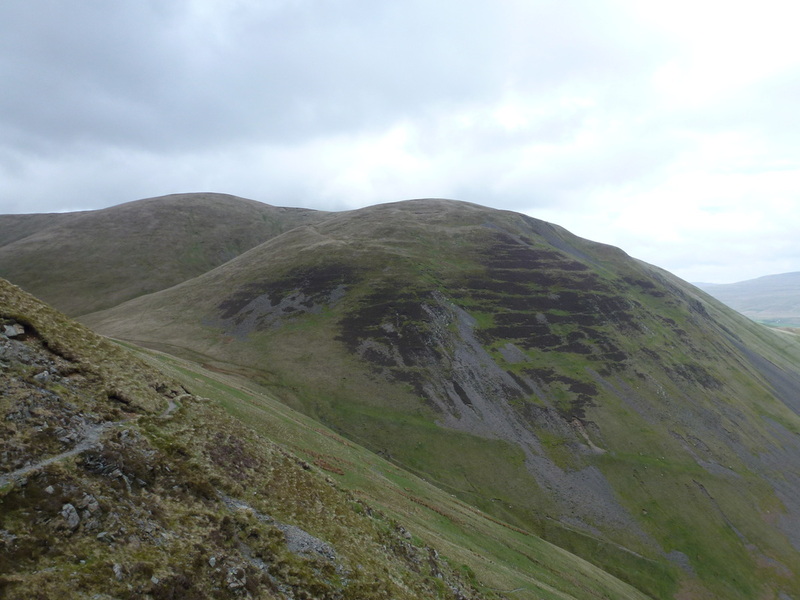 From Calders there was now a superb sweeping ridge path to our next summit of Arant Haw and this was a delightful amble over steady ground. 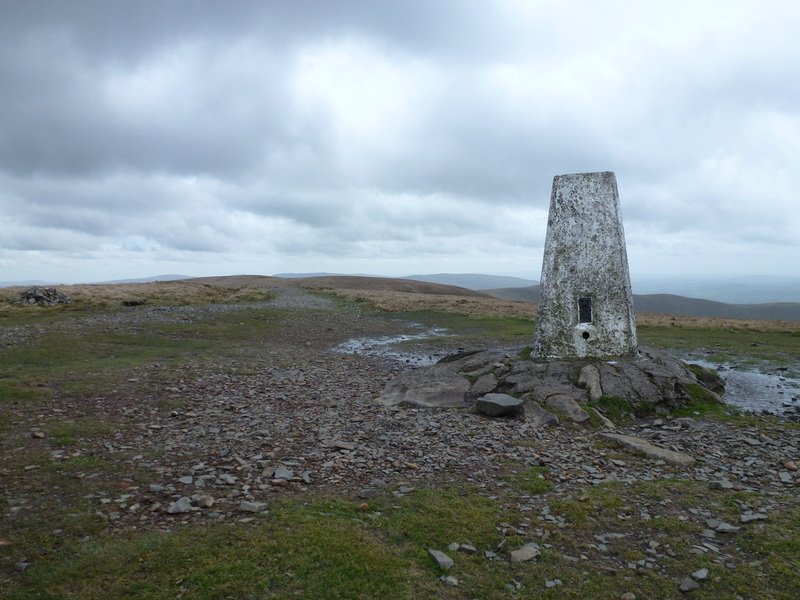 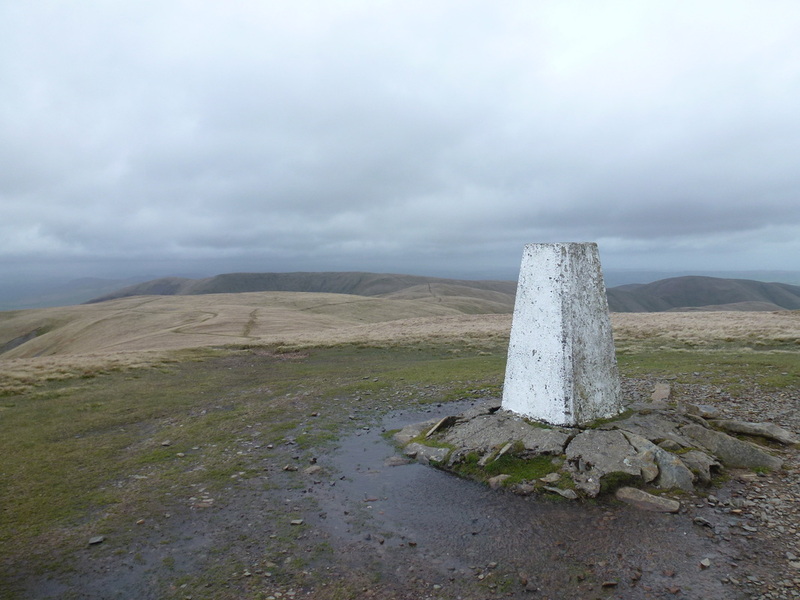 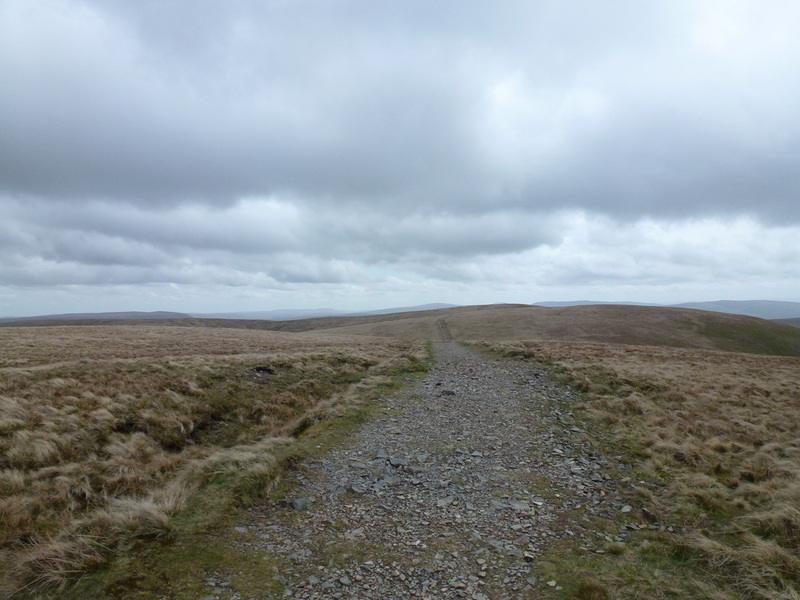 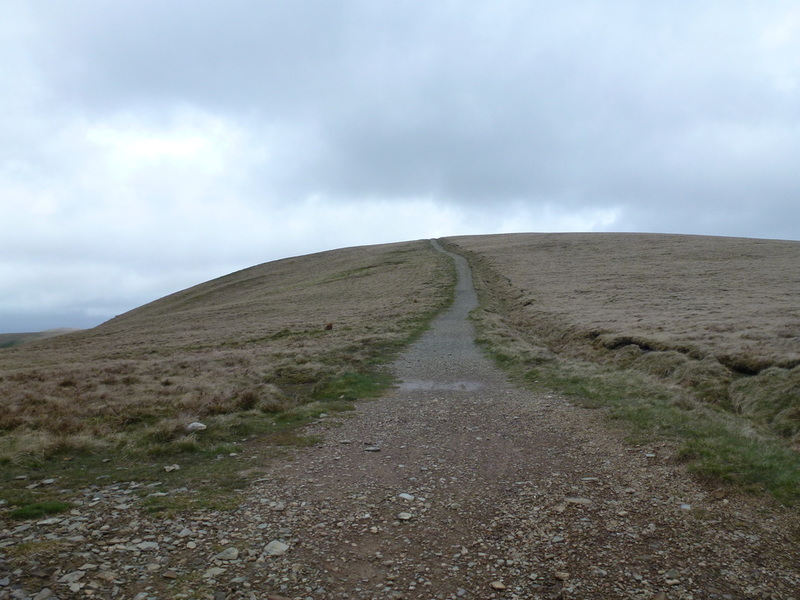 On reaching the summit the views were quite extensive looking back over the route and also over to Winder. 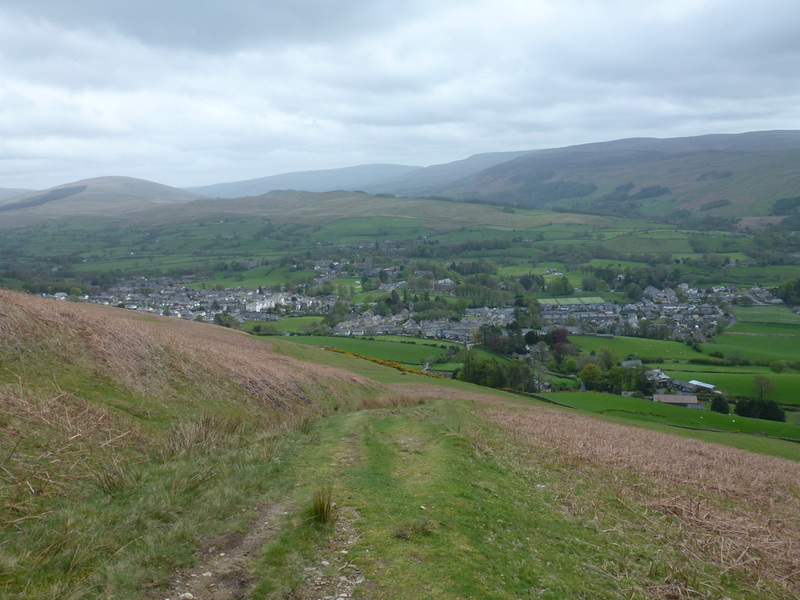 The sweeping ridge path continued and we were soon at the summit of Winder that sits above the lovely town of Sedbergh. 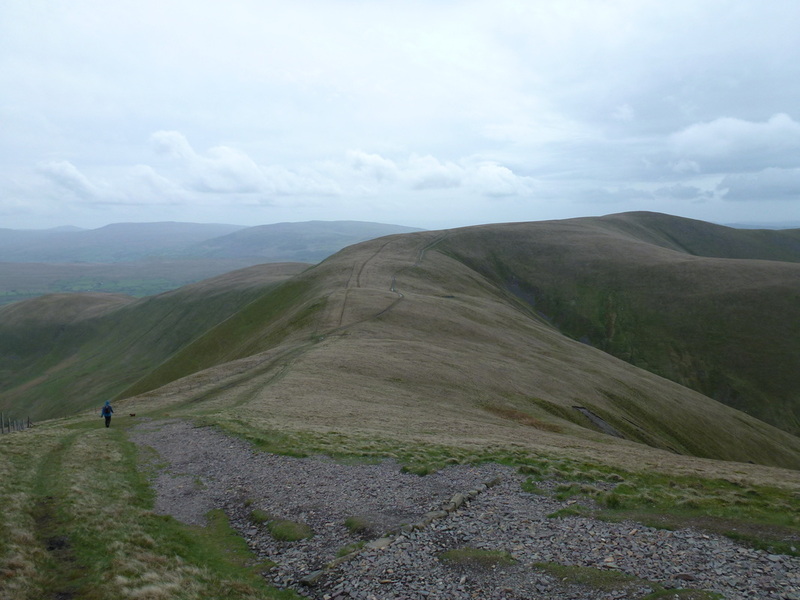 Leaving the summit it was just a question of picking one of the many paths that drop quite steeply off the hill and we soon reached Lockbank Farm from where Sedbergh is easily reached via lanes and roads. 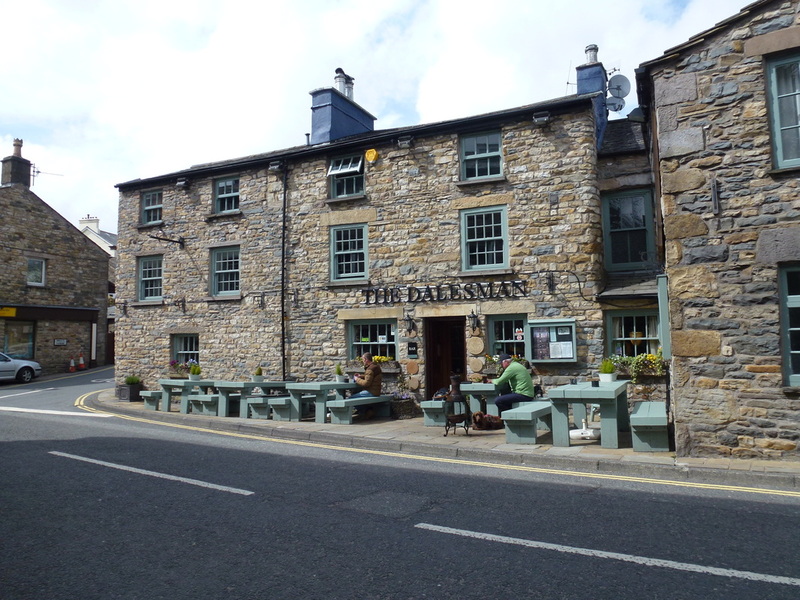 Pausing all too briefly at The Dalesman pub, there was still about 3 or so miles to go to reach Cautley and this route is another delightful amble over field paths and a couple of quiet lanes and we were soon back at Crook Holme before heading back over the Rawthey to the lay by at St Mark's Church. 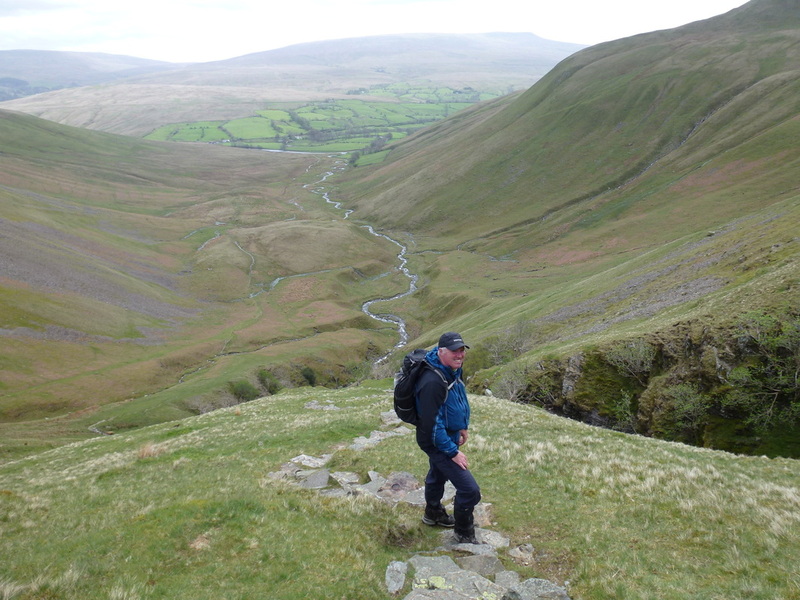 This was our first time walking in The Howgills and we were smitten by them - they are full of interest and walking up Cautley Spout was super. 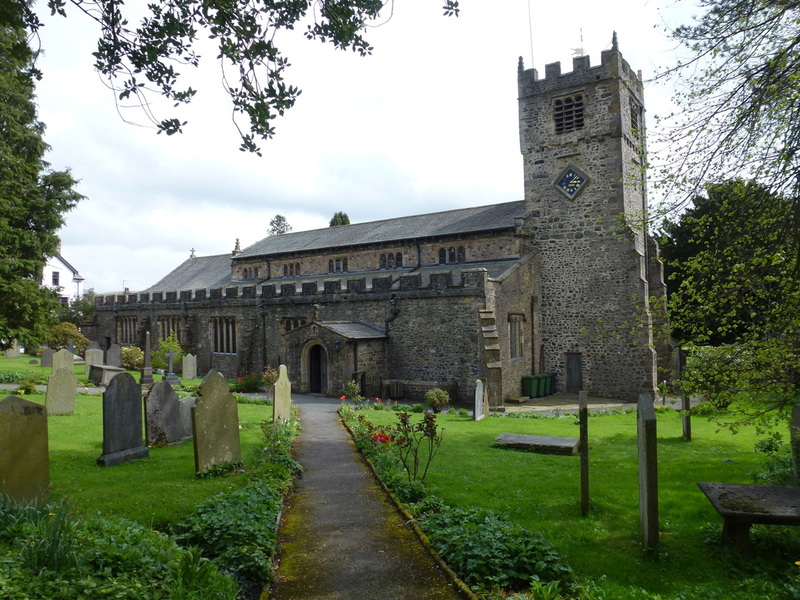 There is lots to see here and they should be visited - have a day off from the Lake District and hop over the M6 to see them, you will not be disappointed. 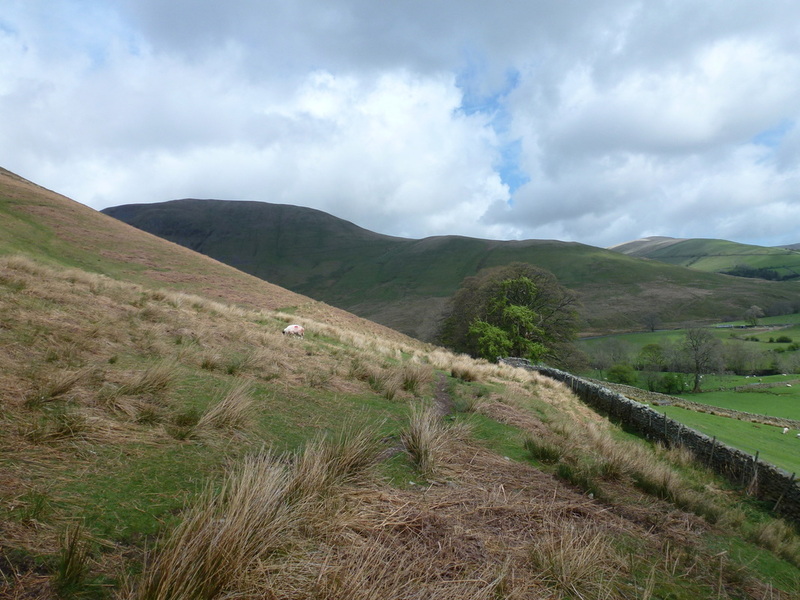 Andy Goldsworthy's sculptured stone obelisk and sheepfold enclosure at Red Gill Beck. 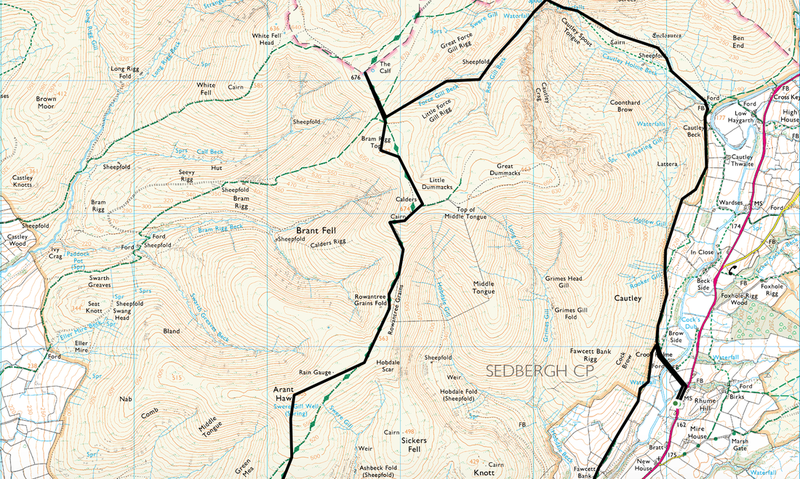 Well - it would be rude not to wouldn't it?